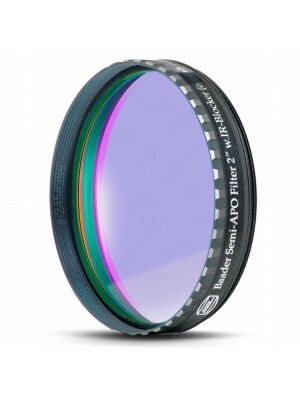 Baader Contrast Booster filter increases contrast and sharpness in fast achromatic telescopes - with over 95% transmission - and completely eliminates false colors. It removes the bluish "hue" (=lack of contrast) during lunar, planetary, solar and terrestrial observation. Planeoptically polished, non-ageing sealed coating edges. A unique filter for many different astronomical tasks ndash; incomparable in acuity to combinations of generic colour filters, made of raw polished glass – where surface inaccuracy adds up in the optical wave front to an unbearable degree. Especially designed to improve the beginners telescopes – to provide a professional replacement for the simple "dark green" Moon & Solar-Filters made of "raw polished" glass. For Solar Observation use only in combination with Baader AstroSolar Safety Film! Eliminates the colour error of economy refractors. 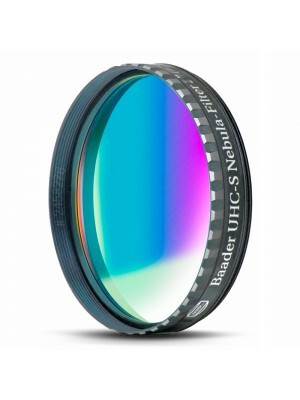 Clearly puts the real quality of the lens on display. Removes the bluish "hue" (=lack of contrast) during lunar-, planetary-, solar- and terrestrial observation. Strongly emphasizes surface detail on Jupiter and Mars. If you have never seen the GRS (Great Red Spot) on Jupiter – with this filter you will. Over 95 % transmission – provides a bright, brilliant image compared to the usual dark green colour filters, used to bring out detail on Jupiter. Colour recognition will be retained. The ultimate in lunar filters. Moon (and Sun) appear much more natural in color (with a slight yellowish tint), compared to the usual low priced dark green Moon-filters, usually offered for beginners telescopes. Completely removes distracting false colour and the resulting smeared and washed out image details. You have never ever seen the Moon or the Sun (with AstroSolar Safety Film) so tack sharp in an economy priced telescope. Blocks atmospheric "stray light" (skyglow). Sky background turns into pitch black. 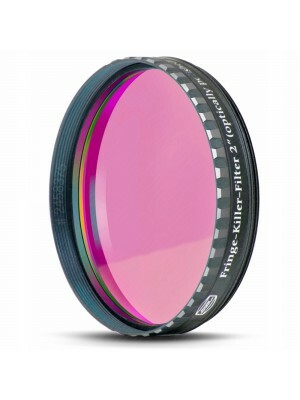 No deterioration of resolution with magnifications of 200x and more – as with "raw polished" (flame polished) glass. Substrate (glass melt) Neodymium doped glass. 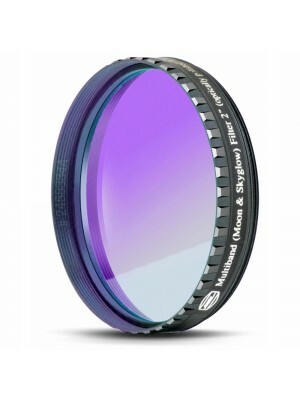 Coating / rear face: 7-layer hard-multicoating, featuring 0.25% reflection. Coating / front face: 23-layer dielectric long pass blocker. Ionbeam hardened coatings on both faces, absolutely scratch resistant – may be cleaned any time without fear with Baader Optical Wonder Fluid. A significant part of city light air pollution, as well as atmospheric Airglow is removed.